Emily Blunt starred in a pair of major hits last year, A Quiet Place and Mary Poppins Returns. After putting in two acclaimed roles in each movie, Blunt has won her first major award of the awards season. 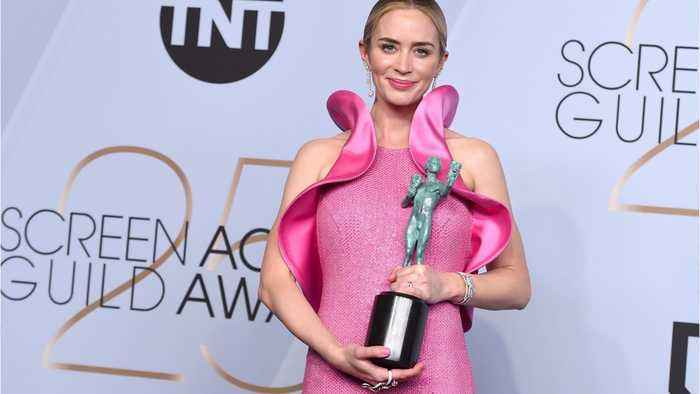 Blunt was awarded the Outstanding Performance by a Female Actor in a Supporting Role at the SAG Awards. The award was for her portrayal of Evelyn Abbott, according to Comicbook.com. A Quiet Place earned one Academy Award nomination for Best Sound Editing. 012719124711 AP PROVIDES ACCESS TO THIS THIRD PARTY PHOTO SOLELY TO ILLUSTRATE NEWS REPORTING OR COMMENTARY ON FACTS DEPICTED IN IMAGE; MUST BE USED WITHIN 14 DAYS FROM TRANSMISSION; NO ARCHIVING; NO LICENSING; MANDATORY CREDIT.